From the moment that the news of the New Zealand terror attack emerged, it has been denounced and confronted, in keeping with the tragic learning experience the world has had through dealing with similar attacks. This is a multi-layered approach that blends the desires of law enforcement and the challenges facing social media giants. But that is all after the fact. A day after the attack 49 people were dead and 39 still in hospital. This is an unprecedented mass murder/terror attack in New Zealand and one of the worst of its kind in a Western country. It is also one of the worst of its kind against a mosque, and appears to be the worst of its kind against a mosque in a non-Muslim country. The Associated Press made a list of similar attacks on places of worship. The worst on the long list include the 2010 bombing of a Catholic church in Baghdad, killing 58; the 2015 bombing of a Shi'ite mosque in Pakistan that killed 71; an ISIS attack on a mosque in Yemen the same year that killed 137; and an ISIS attack on a mosque in Sinai in 2017 that murdered 311. Numerous attacks on mosques in Nigeria have killed hundreds. The terrorist in New Zealand joins a growing list of right-wing extremists who have targeted Muslims. Brenton Tarrant, the man charged with the attack in New Zealand, had decorated his rifles with names of other far-right extremists and those that it appears he considers heroes of history who fought Muslims. For instance, a TRT investigation shows that he included the name of Alexandre Bissonnette on his rifle. In 2017, Bissonnette murdered six people at a mosque in Canada. He also added Anton Lundlin Pettersson – a student who murdered two migrant children in Sweden – onto the stock of the gun. According to Italy's The Local, he also added the name Luca Traini onto one of his clips of ammunition. In 2018, Traini injured six people in a racially motivated attack on black people in Macerata. The alleged terrorist in New Zealand also created a 74-page "manifesto" which he posted before his murder spree. According to those who have seen it, one of the names mentioned frequently is Anders Breivik, the Norwegian far-right extremist who murdered 77. There appear to be some similarities. Breivik and the New Zealand killer dressed in military-style outfits and had a variety of weapons, despite living in countries known for their relative lack of gun violence. Both created a manifesto based on a far-right anti-immigrant world view that blended sources from around the world. Both expected that they would become martyrs or examples in some kind of global revolution. Both sought to surrender to police at the end of their attacks, not willing to shoot it out with authorities. Both also seem to have planned multiple incidents. Breivik bombed Oslo to distract from his attack on the Utoya summer camp. The New Zealand perpetrator attacked two mosques while uploading footage of the attack, and had a car full of gasoline which indicates he had other plans. How should we weigh this attack and what can we learn from it? Authorities in New Zealand indicate that the perpetrator had five guns, including two semi-automatic rifles. He was stopped by police 36 minutes after the first emergency call was made. That is not extremely fast, but it's faster than many other terror attacks have been stopped. In 2016, it took three hours to stop the mass murder in Orlando, Florida, by an ISIS-inspired terrorist, where 49 people were killed. In 2015, it took four hours to find and take down the San Bernardino, California, terrorists, who killed 16 people. Also that year, it took two days to stop the perpetrators of the Charlie Hebdo and kosher supermarket attack in France. The perpetrator of the Toulouse and Montauban shootings evaded police for a week, during which he attacked a Jewish school, filming the murders, on March 19, 2012. Despite criticism of social media for spreading the initial video that the New Zealand terrorist live-streamed, the reality is that authorities and social media worked hard to stop the shooter and also to contain the spread of links to the video. In fact, they may have gone too far in attempting to scrub the Internet of the perpetrator's presence, making it more difficult to understand how he was radicalized. This has become a typical response to terror in recent years, especially when confronting the far Right. Robert Bowers, the perpetrator of the Pittsburgh synagogue massacre in October, was active on the social network Gab, which came under criticism for hosting hate after the attack. Social media companies have been quick to take down accounts of perpetrators, such as Nasim Aghdam, who attacked YouTube's California headquarters last year. Also in 2018, Facebook and Twitter suspended accounts linked to Cesar Sayoc, who was accused of mail bombs. But it's not entirely clear what motivates the decision to remove these accounts. Is it really to prevent the perpetrator's ideas from spreading? In many cases the perpetrator is dead or in prison – so is the concern that their account will be visited by like-minded copycats? Or is the real motive to hide the role that social media giants play in radicalizing these extremists and also to quickly remove the network of "followers" these people have, which gives them anonymity to move on to follow other extremists? The latter is an important question, and the public is largely being excluded from a say in demanding more transparency and information about these attacks. The group-think after the New Zealand attack was to not share any video or details associated with the attacker – certainly not his "manifesto" or the footage of the murder, and also not even to say his name. But is this really a good way to confront the hate that fueled him? If you just stopped mentioning the KKK or Hitler, would that mean that there was no KKK or Hitler? Don't we usually want to learn from the crimes of the past to prevent their re-occurrence? There must be a middle way between using the tools available to confront hate online while not making heroes or martyrs of the perpetrators. For instance, according to a 2018 report in Fortune, Twitter has suspended 1.2 million terrorist-supporting accounts since 2015. Between July and December 2017, it removed 275,000 accounts. We don't know what percent of these are Islamist or ISIS-supporting accounts, but it's clear that after 2014, social-media giants have worked to reduce the ISIS presence online. This is after they did very little to prevent ISIS recruitment in 2014, and likely helped fuel the rise of the genocidal extremists. I recall seeing ISIS videos of mass murder of Yazidis readily available online in 2014. Today under new guidelines, those theoretically shouldn't be there. "Please know we are working vigilantly to remove any violent footage," YouTube wrote on March 15 in the wake of the attack. Major legacy media have also tended to shield us from terrorist-produced content. This is a major change from the 1990s and 2000s. Ted Kaczynski, the "Unabomber" – who killed three and injured 23 – mailed his manifesto "Industrial Society and its Future" to publications in 1995. Oddly, the FBI accepted that it should be published under the theory it might help find the suspect. The manifesto was published by The New York Times and The Washington Post that year. Today, the notion is that such manifestos should be hidden away; even links to the one the New Zealand murderer wrote are immediately taken down by social-media giants. It wasn't so long ago that major television channels had a different view about terrorist videos showing corpses, beheadings and all the other propaganda and horrors they wanted to show the world. For instance, as recently as 2014, Variety reported on the debate in newsrooms about showing terrorist videos. "It's clear that these videos are having a big impact on different countries, on government policy [and] on overseas policy, and it's not for CNN to say therefore [that] viewers shouldn't see them," Tony Maddox told Variety that year. So ISIS videos ended up on CBS, and CNN aired audio recordings of the terrorist group. Videos from executions, but not showing the beheadings themselves, were aired on numerous channels. Fast-forward to 2019 and the theory is that seeing any footage, seeing any social media account – seeing anything – will lead to more attacks. But it's not necessarily clear that is the case. Showing images of the crimes of the KKK, like the horrid photos from 1916 of the lynching of Jesse Washington in Waco, has not inspired more KKK violence. In fact, there is evidence that the transmission of these horrid images helped turn the tide of public opinion against the KKK. From a time 100 years ago when up to 10,000 would gather to cheer a lynching in the US, we have now stopped those kinds of crimes. It's not clear if far-right extremist terrorism, like in New Zealand, or far-right ISIS terror – like we saw in Iraq, Syria and elsewhere – is reduced or fueled by seeing images of the crime. It appears that sometimes, governments want to hide the images for fear that they might "inflame" the public. But then what lessons are learned from these attacks? The man who attacked the Jewish school in France in 2012 filmed the incident. The general belief is that any viewing of those images is wrong. But then why do we view images of the aftermath of the Holocaust – to teach how terrible the Holocaust was? For instance, the harrowing photo of a German soldier murdering a Ukrainian Jew in Vinnytsia is widely available online. The Atlantic has a whole web page devoted to them called "World War II: The Holocaust," published in 2011. Are the lives of Jews who lived in 1941 less than the lives of Jews murdered out of a similar hate in 2012 or 2018? Why are we afraid to see images from a recent era of the same kind of hate? Why do we think the images alone will spread more extremism, or do more damage? There is no evidence that images or manifestos of the Nazis or the KKK have led to more Nazis and KKK. In fact, it appears that widespread dissemination of the images of their crimes – correctly and responsibly assembled alongside the way in which these groups gained power – teaches us how to confront them. In the recent era we've decided to take the opposite approach with far-right Islamist extremism and far-right racist extremism, which link the rise of ISIS with the rise of those like Breivik and the New Zealand killer. There is no evidence that simply hiding away the reality of these crimes and what fuels the murderers has reduced the hatred. Do we go into the networks on social media where these extremists thrive and confront them, or do we just shut down their accounts from time to time after they kill people? It seems that our globalized society has taken a "see no evil, hear no evil" approach, which is basically "out of sight, out of mind." As long as we don't see extremism, hatred and such "violent content," then it will go away. In the Middle East, where ISIS videos were shared widely, a catharsis and rejection of ISIS crimes was reached. 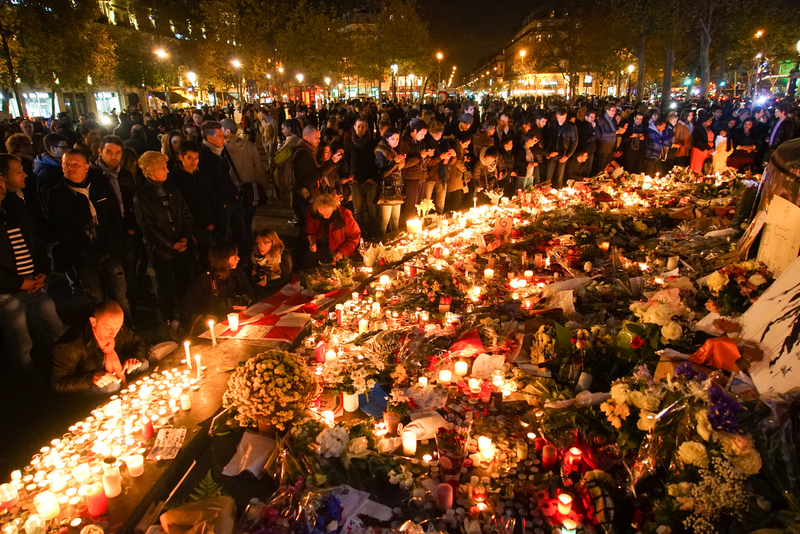 Many societies have come to understand that far-right Islamist extremism is a major danger. The West, where far-right racist extremism has grown in recent years, has not really found a way to confront the Breiviks, Tarrants or Bowers. In fact many people in the US, if asked to name the Pittsburgh synagogue killer, could not name him. No one will do a survey to check that, but it's clear. Just months after the worst mass murder of US Jews ever, most people have already forgotten the perpetrator, as if that means we learned the lesson. But what about the hundreds or thousands who were friends with the perpetrator online? Were they confronted? Or was the network quietly shut down so they can migrate to a new platform? What about those who followed Tarrant? He wrote online before his attack that he was off to "carry out an attack against the invaders" and that "if I don't survive the attack, goodbye." The public wants to know: How many people saw and shared this, how many were in the network? But if we just delete the post and who "followed" it, can we ever know? We trust the authorities to properly investigate, but the larger problem is that confronting hatred, especially online, requires an informed public. It is the public that must report hatred online. Yesterday after the attack, Iran's Javad Zarif posted that Islamophobia was to blame. One response to him by someone named Abdulkadir noted that, "you have destroyed 13,000 mosques in Syria. This is [sic] makes mosques a day. You are worse than the Jews." I reported this as hatred, against Jews. Twitter hasn't taken it down. But, of course, if one of those spewing such hatred will go on to commit a crime, then when it is too late, social media will run to remove that comment. As if it had never been made. After all, perhaps hundreds of people reported the New Zealand shooter for hatred on social media, and perhaps social media giants did nothing. Our governments will likely never investigate that, nor will we ever know, since his account has disappeared and all records of such reports may not be revealed. So the hate continues. And no lessons have been learned.